Come On Down! It’s Prime Time for Puns and Puzzles! Yes, yes, it’s that time again. It’s hashtag game time! For years now, we’ve been collaborating on puzzle-themed hashtag games with our pals at Penny Dell Puzzles, and this month’s hook was #PennyDellPuzzleTV, mashing up Penny Dell puzzles with television shows, characters, catchphrases, actors, actresses, hosts, and more! Examples include: I Love Loose Tile, Will Shortz & Grace, and Match Game of Thrones. Guess Who’s the Boss / Who’s Calling the Boss? Whose End of the Line is it Anyway? And members of the PuzzleNation readership also got in on the fun! On Twitter, the intrepid Screenhog contributed “Tales of the Cryptoquizzes.” Excellent stuff! Keep it coming, Screenhog! Have you come up with any Penny Dell Puzzle TV entries of your own? Let us know! We’d love to see them! It’s Follow-Up Friday: Hashtag Hilarity edition! 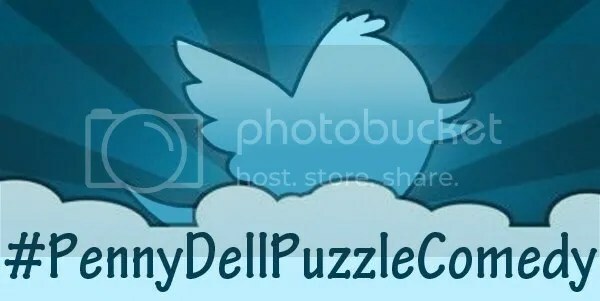 And today, I’m posting the results of our #PennyDellPuzzleComedy hashtag game! You may be familiar with the board game Schmovie, hashtag games on Twitter, or@midnight’s Hashtag Wars segment on Comedy Central. For the last few months, we’ve been collaborating on puzzle-themed hashtag games with our pals at Penny Dell Puzzles, and this month’s hook was #PennyDellPuzzleComedy, mashing up Penny Dell puzzles and anything and everything having to do with stand-up comics, film and television comedians, funny movies, funny shows, funny plays… even one-liners or jokes! Why did the chicken cross the Middle of the Road? To get to the other Slide-o-gram! How do you send a message to a skeleton? By Crypt-O-Gram! What do you get when you insult a puzzle editor’s work? Cross words! Have you heard about the most amazing Framework ever constructed? It was a Revelation! Hey, that’s my favorite puzzle! I bet there’s a lotto people entering this hashtag game! The Wizard is wise and humorous. Didn’t you read the blurb? And the PuzzleNation audience got involved as well! @_screenhog tweeted the excellent entries Funny or Diagramless and Patchwords Adams! 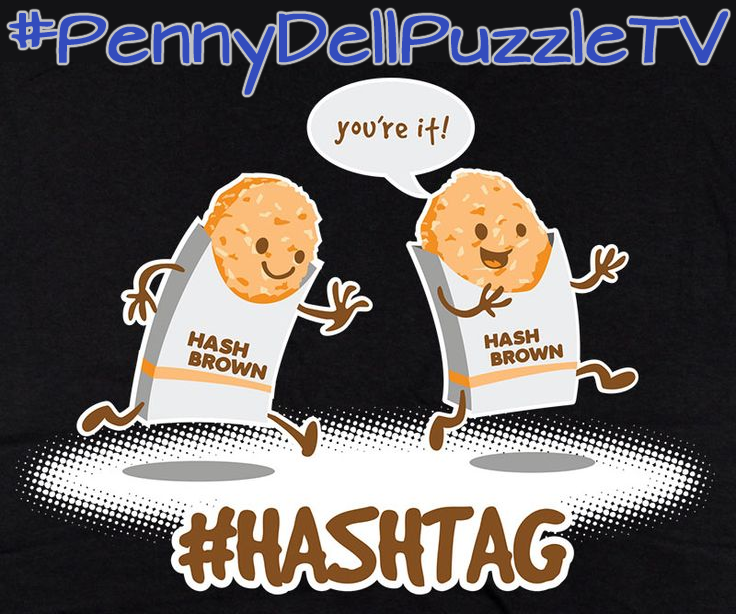 Have you come up with any Penny Dell Puzzle Comedy entries of your own? Let us know! We’d love to see them!